Ready, waiting for your command, the Kershaw Junkyard Dog II Knife in Black is a mighty blade suitable for a vast array of uses. It begs to show you what it can do, while a the same time, it reminds you how independent it is. 8.8 inches long overall, the blade measures 3.75 and is made from strengthened Sandvik 13C26 Steel. The edge of the blade is a combo-edge, featuring a partially serrated section to increase it's number of uses. 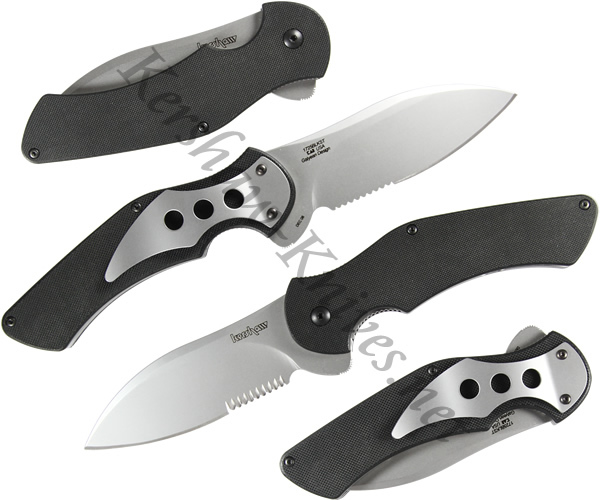 All of the usual Kershaw refinements are standard, including the liner lock to prevent accidental closure and a removable pocket clip. The handle is designed for comfort and grip, while maintaining a high level of durability, you can safely get on with working in partnership with the blade. This is one of those excellent all-rounders every knife lover should have.